There are so many questions that come to mind whenever the name of Ri Sol-Ju is mentioned. 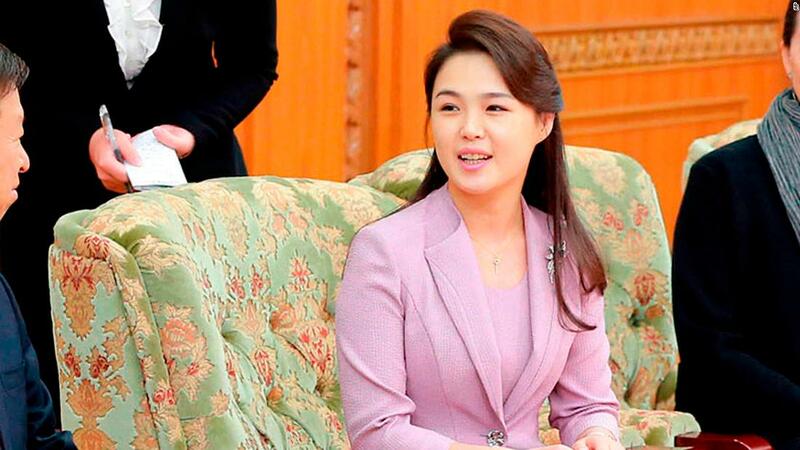 She is the wife of Kim Jong Un – the controversial Supreme Leader of North Korea. Everything gathered about the elevated First Lady are mostly from the sources outside the country as her life is shrouded in secrecy starting from her birth date to her real name to her marriage and the children she has birthed. The secrecy as regards to information concerning her may be a result of her lifestyle as North Korean First Lady. This article will try to unravel most of them and bring to light everything about the North Korean first lady. A peek into the biography of this almost anonymous woman would definitely start from her name. However, there are also some controversies with regards to her real name too. Some sources have speculated her real name to be Lee Seol-Ju which has over time cast a shadow of doubt in the genuineness of her acclaimed name Ri Sol-Ju. There is also no reliable information that points to her exact date of birth although she has been speculated to have born somewhere between 1985 and 1989 – a fact that is yet to be addressed by the government of North Korea. From the little scoops we have on her, she was born to a professor father and a mother who heads a gynecology department. Plus she is reported to be a close relation of Ri Pyong-Chol, a former air force general who also acts as Kim Jong-un’s close advisor. With respect to her education, she is said to have attended Geumsung 2 Middle School in Pyongyang before she proceeded to China to further her education majoring mainly in Music. Besides, she also has a Masters degree in a science related course and a Ph.D., all acquired at Kim il-Sung University. Ri Sol-Ju started out as a performing musician and a member of the North Korean groups known as Unhasu Orchestra. Additional information leads us to believe that she was a cheerleader and was among the North Korean team that partook in the Asian Athletics Championships team in 2005, even though there is no discernable proof to back it up. As irrational as this may sound, it is worthy of note that the North Korean authority is reportedly erasing everything about the First Lady’s past by any means necessary as they have already retrieved every recording she had previously appeared in. Below is everything else to know about Kim Jong Un’s wife. One major event in every woman’s life is the day they get married, which usually laced with glamour and a lot of preparations all captured in photos or video as the case may be. Well, unlike most women, the marriage of Ri Sol-Ju to the supreme leader of North Korea is practically none existent and if there are records of the date and place the ceremony took place, they are well tucked away in the archives. However, one fact we may want to consider is the statement made by a print media which claimed that Kim Jong-il the late father of Kim Jong-Un, who was the former Supreme Leader of North Korea arranged their marriage shortly after he suffered a stroke in 2008. If this theory is anything to go by then she may have married Kim Jong Un in 2009. She, however, had her first public appearance with her husband in July 2012 at an event which triggered series of questions about her identity and consequently prompted a press release by North Korean authority which stated that she was the wife of their leader. The first lady is reported to a mother of three children. Her first child whose gender was speculated to be a boy was birthed in 2010. The birth of a child was revealed by the ex-NBA basketball player, Dennis Rodman who had visited Kim Jong-Un in North Korea in March of 2013. Rodman revealed that Ri Sol–Ju had given birth to a daughter, named Ju-Ae. His tales were later corroborated by a South Korean government source who said the child was delivered sometime in 2012, same year North Korea marked the 100th anniversary of her founder, Kim Il-Sung. Ri Sol-Ju is said to have given birth to her third child in 2017 but the gender and date of birth of the child are unknown. Following the North Korean state media statement which cleared the air about Ri Sol-Ju’s identity on July 25, 2012, the statement gave the name of the North Korea’s first lady as Comrade Ri Sol-Ju. However, six years later, precisely in April 2018, her name was elevated with a prefix “Respected First Lady” which becomes the way she is to be addressed. This is the first time since 1974, that the title previously accorded to Kim Song-Ae, the third wife of Kim ll Sung would be used by another first lady in North Korea. Ri Sol-Ju was conspicuously absent from public gatherings that she would normally appear in (This was observed to be the case in 2015, 2016 and 2017). No authentic reason has been attributed to this occurrence but it is speculated that is will not be unconnected with the power play by Kim and the North Korean State. However, a recent video from the China Central Television dated March 28, 2018, which showed Ri Sol-Ju’s visit to China alongside her husband, has done well in reassuring the public that she is still alive. Kenji Fujimoto, a former personal sushi chef of Kim Jong-il said that he had met Ri Sol-Ju on a trip to North Korea and he confirmed that the first lady is charming with an amazing soft voice. On the same trip, Ri Sol-Ju purportedly gave Fujimoto a designer handbag as a present.